If you are like most of the busy workers in the country, then you might have a shoe fail at work one day. Whether you are riding a bike across town to get to work, have a day full of skateboarding to enjoy, or work the graveyard shift at a bustling warehouse, your shoes and boots can separate causing you to have flapping soles and an embarrassing experience if you do not have something at the ready. We feel that our Top Eight Best Shoe Glue products will give you plenty of versatility and options when dealing with rips, snags, flopping soles, punctures, and harsh weather. Do you have someone in your family that goes through shoes every couple of months it seems? Do you have teenagers that like to skateboard? 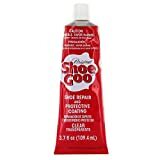 The Original Shoo Goo might be the best pick on our list for you to keep around the house because you can use it for many purposes including sealing your shoes. One of the things that you may find most useful about this product is that it can create and hold a seal even when shoes get wet. Many consumers use this product on wood, accessories like purses and belts, along with tents and emergency repairs. Most noteworthy is that you can coat your shoelaces with this glue to keep them from fraying should you get a snag. We suggest that you keep a tube of this shoe glue with you when you want to go on a long hike or run. You may find that it fits into one of the smaller pockets in a backpack taking up little space for other items like water and snacks. We like to keep a tube in our workshop and the car since you never know when a heel might break or your boot get caught on something. Are you tough on shoes? Do you find that your soles always peel apart from the base of your shoe because you are constantly up and down on a ladder, working outdoors, or on your feet for long periods? We understand your frustration. 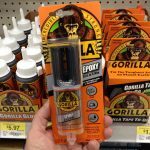 This sealant is an excellent option to put in your tackle box, lunch bag, or vehicle to have at the ready in case of flapping shoe soles when you cannot get away. Especially promising is that this glue is easy to remove from your hands with a little vegetable oil. So there is no need for gloves when applying this sealer to your shoe soles. You may confidently cure porous items with a second application on top of the first if one patch job does not form a tight enough seal. Furthermore, you can store this product in the refrigerator to keep the glue from setting if you want. Choosing an option like the Boot-Fix Glue allows you to throw a bottle in your toolbox and keep working because you know that you have a quick-fix if you find yourself in need of a repair. This glue sets in as little as 45 seconds getting you back to work fast. We suggest cleaning any oil or debris from your work shoes before using this glue to get the best seal. Are you the type of person that works outside in all weather conditions? Do you constantly have wet feet or flapping boot soles because you work in the construction, road repair, or emergency response fields? While boots and shoes were once a handicraft, automation now pumps out footwear fast enough that we can just replace them when they break down. But you may not have the money to buy replacements several times a year. 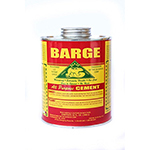 We think the Barge Shoe Glue is a fantastic option because of no matter the weather. This brand might be the one to hold up to the toughest work conditions to keep your feet dry and warm for a change. You can leave the container of Barge shoe glue open for up to four hours while working on several shoes. The dry time for each repair is about 15 minutes. Remember to close tightly or the entire can will harden. This glue will not freeze, so you can take it with you when working in icy climates to repair and seal boots for outdoor uses like hunting and logging. 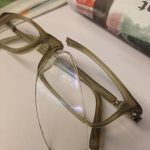 Reattachment is possible in case of mismatching materials or creating a crease by using a hair dryer to heat up the material. You might want to make sure that the fabric you choose to heat up is leather or something that will stand up to high heat. Otherwise, we suggest using the low setting first and then moving up to the hot temperature if the low does not soften the glue. Whether you fish in Alaska or have a boat off of the coast of Florida, keeping your boots in tip-top shape is important when you are chasing down a huge catch. As you move around the boat trying to reel in your fish, you may not want to slide because your shoes are torn or have a loose sole. 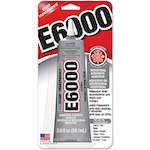 Keeping a tube of the E6000 shoe glue on your boat can help you patch up one pair of boots while the other is curing. You can use this glue to put together pictures and for items that will be in the washer and dryer. The glue dries clearly and holds up to cleaning so that you get a permanent bond. You can even paint over top of this glue. You might find that this adhesive works when you have a clay pot break or need to repair a crack in the birdhouse. The versatility of E6000 is one thing we think you might enjoy due to the ability to use it for more than shoes, belts, and purses. 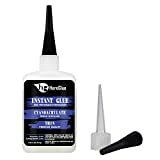 Most of all, you can use this glue for items that you might want to store outdoors or use in all weather conditions. It seems like this may become a go-to purchase should you find several applications where you can use the adhesive. If you find that your tennis shoes are one of the things that you replace the most, then you might want to consider our Best Glue for Sneakers. The Hero Glue comes in a clear bottle with a black cap and a black, white, and purple label that you might find easy to distinguish. 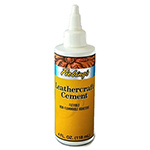 Contractors and crafters like this product for adding inlays in furniture and sealing granite counters. But we think you may love that you can fix your favorite brand of sneakers in a flash with this instant glue. The glue comes with five extension tips that you may find help you stay accurate. 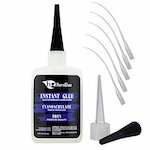 While you may want to keep a separate tube of this adhesive in your shoe shining kit for footwear repairs, you can use this item to fix auto parts and taxidermy products. You may like that the manufacturer labels this adhesive as a premium quality item that works for numerous fixes. 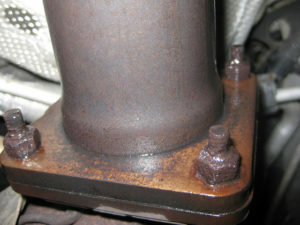 The maker suggests using this product on clean surfaces that are free of rust and debris. You may like that you can add the glue to one surface and touch the other without creating a line of adhesive on the second surface. We like how fast the product sets up and gets you on your way. If you keep a tube of this in your gym bag or pants pocket while jogging, you might repair a ripped shoe or a talking sneaker so that you can finish up your run or get back on time. Designer handbags, shoes, boots, and belts are lovely things to have for accessorizing. What can you do when your favorite items have some loose stitching? What happens when you rip the front of your new purse? You can repair your leather jackets and suede gloves with Aleene’s Leather Glue. This product is made specifically for use on dry-clean only products. This adhesive might let you make a seamless match between two pieces of leather if you make accessories, shoes, or clothing with leather or suede. Tightening up grommet holes and preventing fraying may be an incredible help for designers. This adhesive might work for leather hems, holding down braided straps, and sealing the edges of key chains. While Aleene’s Suede Glue is not for every shoe repair, we think you might find that it works well for your dressier footwear and boots. We like that the product is made to use on dry-clean only items giving designer clothing enthusiasts an item specific to designer materials. Craft manufacturers might find this adhesive helpful for fixing belts, horses, dream catchers, and hats. We like the Loctite glue because it works in wet or dry conditions and bonds quickly. 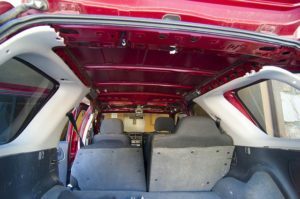 Another reason we chose the popular blue and red tube was that the sealant has no acid and does not break down near sound sources like stereo speakers and rearview mirrors. You may find that the compact size and availability of the glue makes it a good pick for your household. 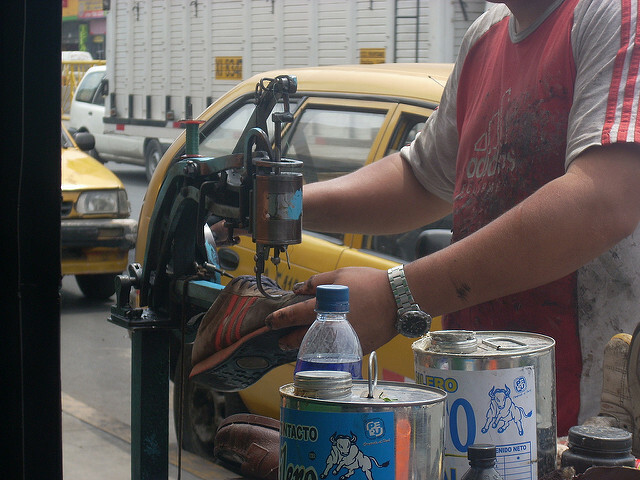 First of all, we are extremely happy to know that this shoe repair will bend and move with us and hold up to more use. Consequently, the fast curing time is another thing we think you may come to rely on when you are out and about and need a fast shoe fix. The small tube will fit in almost any clothing item with a pocket. 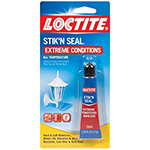 You may like that the Loctite company has more than 50 years of experience creating innovative products like the Extreme Conditions Adhesive. Because the glue withstands vibration, water, UV rays, and temperatures, you may find hundreds of ways to use it indoors and out. Do you like to craft with the kids or do personal projects while they complete school projects? Are you an artist that sells designer products online? If you are someone that needs a low-fuming product that is safe for use around children, then you may like the ECO-FLO Leather Cement the most out of all of the picks on our Top Eight list. This adhesive works well with knife sheaths, belts, and other leather products. 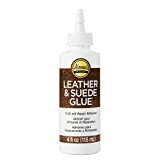 The glue is a great pick for fixing leather boots because you never know when you will scuff the toe or scratch your favorite pair of Red Wings. This bottle is small enough that you may keep one in the console or glove box in your vehicle. The Eco-Flo adhesive is our best pick for using around children. Many crafting parents spend time with little ones doing projects. This adhesive might be a good pick for using in the home since it has little fumes. You can craft away with our Best Eco-Friendly Shoe Glue pick. When deciding which shoe glue is the best for you, there are a few things to you may want to mull over before your purchase. The purpose of the glue. How often you use adhesive. Weatherproofing. These are all important things to think about when buying shoe glues. How many things do you plan to fix with shoe glue? Do you need a product for indoor or outdoor use? Do you need a waterproof repair? Are you tough on your shoes? Will you use your footwear for exercise, warehouse work, or to dress up? How you plan to use your footwear is one of the biggest factors in choosing the right shoe glue for your home, office, vehicle, or pocket. Do you have a tough job that makes it difficult to keep shoe soles intact? The Original Shoo Goo and the Barge All-purpose Cement Rubber Glue are the two picks that we think you may want to keep in mind. 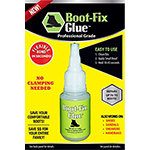 For shoe soles, Boot-Fix Glue is specially made for reattaching rubber soles to numerous shoe types. The E6000 and the Loctite shoe glues come in the smallest sizes making these two our favorite stow and go choices. Because both of these products are versatile, you may have other things besides shoes that these products will repair. 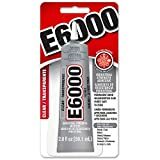 You may find that having the option to wash and dry items with the E6000 is a huge advantage over some of the other Top Eight Shoe Glue picks. Getting your shoe sole back in place when the time is short can make or break a situation. We suggest that you use the Boot-Fix or Barge Shoe Glues when attaching soles back to the upper sneaker, boot, or dress shoe. Both items dry clear and form a tough bond. You may want to add some pressure until the material cures to ensure that the sole stays in the right place. 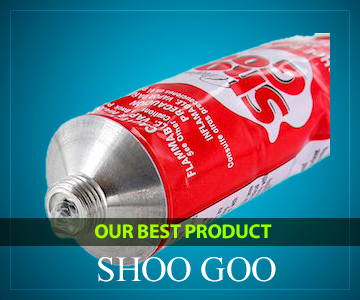 For this application, we recommend using the Original Shoo Goo since it creates a waterproof bond that fixes any damage. You may like this sealer for welding boots and items where small burn holes can let water get into the footwear causing your feet to get wet. You might also like that you can add this to the bottom of your shoes for more traction. The Eco-Flo glue is our top pick for family-friendly crafting, shoemaking, or fixing leather products. You may like that this item is not flammable. You might appreciate the low fuming characteristics of this sealer when you live or work in a small space. For small areas, you may want to go with the Hero Glue because it comes with five extension tips to help you get into little nooks and crannies. The flexible tips let you be as precise as you need to reattach sneaker mesh or fix the leather flowers on a fancy pair of dress shoes. Many of the choices on our adhesive list will work for securing your soles back on in an emergency. But a couple of items like the Aleene’s Leather and Suede Glue are more suitable for repairs on mostly leather products. We feel that our top choice for everyday use is a toss-up between the Loctite, Boot-Fix, and Shoo Goo because we can seal and repair a variety of footwear with these brands. You may want to choose an option by price, longevity, or uses per unit depending on your needs. We hope this comparison and Top Eight Best Shoe Glue Picks can assist you with any footwear fixes or repairs you need including reattaching shoe soles. We suggest checking all manufacturer storage information including temperature ranges and conditions to ensure that your products last between uses. You might agree that nothing is more frustrating than trying to glue something in a hurry and finding out the applicator has a solid plug of dry glue from the top to the bottom of the cap.